LANSING – Michigan voters have viewed at least $20 million worth of political ads in competitive gubernatorial and U.S. Senate campaigns. In 2010, Snyder and Democrat Virg Bernero had just one debate in the governor's race. Two years later, incumbent Democratic Senator Debbie Stabenow and GOP challenger Pete Hoekstra couldn't agree on even one debate. But whether they will see Gov. Rick Snyder and Mark Schauer, or Terri Lynn Land and Gary Peters, in one-on-one debates this fall is in question. Debates appear to have lost cachet in Michigan's statewide races. In 2010, Snyder and Democrat Virg Bernero had just one debate in the governor's race. Two years later, incumbent Democratic Sen. Debbie Stabenow and GOP challenger Pete Hoekstra couldn't agree on even one debate. Because those precedents were set, political strategists say they wouldn't be shocked if no debates are scheduled. 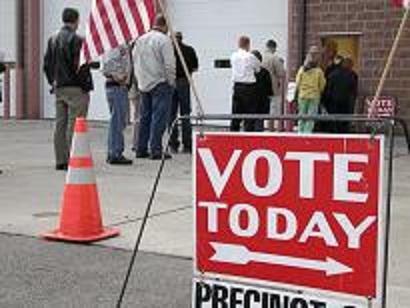 They suggest, however, that voters have come to still expect at least one public debate from statewide candidates.